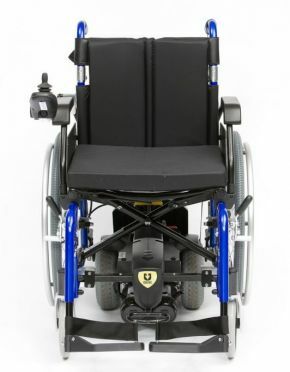 U-Drive Powerstroll Wheelchair Power Pack Easy To Fit. 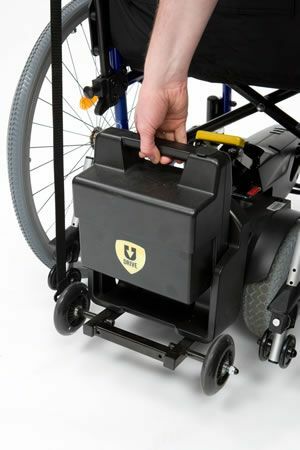 Having a wheelchair power pack like this takes the strain off on longer journeys and the system is also ideal for those who don't need an electric wheelchair all the time, just extra help some days. 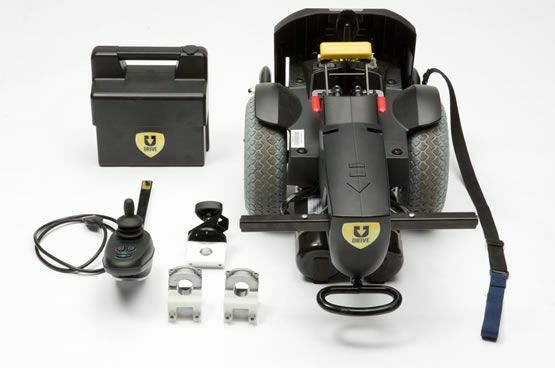 It can be charged in place and will provide enough power to suit most terrain. For a limited time only, a lightweight aluminium wheelchair is included when you buy the U-Drive wheelchair power pack!